Influential and front ranking vernacular daily Manabzamin published front page lead commentary on November 16, 2009 titled ‘Where is problem in recognizing Kosovo and Israel’. According to this commentary, United States is continuing to request Bangladesh in recognizing Kosovo while there has never been any request from United States in according recognition to Israel. 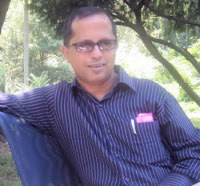 Manabzamin is edited by prominent Bangladeshi journalist Motiur Rahman Chowdhury, who enjoys high esteem in the society as a very successful editor and political analyst. Manabzamin said Bangladesh is the only Muslim country in the world, which has been maintaining total ban on Israel since independence in 1971, although Israel was amongst the first four nations to extend recognition to newly born Bangladesh. Due to non existence of any relations between Dhaka and Jerusalem, Bangladesh is continuing to be deprived of receiving various types of assistances from Israel. Israel recognized Bangladesh on February 4, 1972. Although 37 countries are yet to establish full diplomatic relations with Jerusalem, but Bangladesh is the only country in the world, which stops its citizen from traveling to Israel. Bangladesh government clearly mentions in the passport that no Bangladeshi citizen can travel to Israel with this passport. It is learnt that, a number of ultra-Islamist group as well some terror-patron nations like Iran are continuing to give instigations to Dhaka in not opening doors for Israel. Due to heavy influence of such elements, Bangladesh is virtually compelled in continuing total ban on Israel. Experts opine Bangladesh should immediately remove the words in its passport, which stops the citizen of the country from visiting Israel. Moreover, Jerusalem is one of the two most sacred places for the Muslims. It goes the Muslim sentiment as well to stop Bangladeshis from visiting Israel and having relations with that only democracy in the Middle East. They said, Saudi Arabia established economic relations with Israel since 2005, while a large number of Muslim and Arab nations are having either diplomatic or economic relations with Jerusalem for years. In contrary, Bangladesh maintains total ban on Israel including postal ban, telecommunication ban, shipping ban, business ban and travel ban. Many of the Bangladeshi officials, being brain-washed by Iranian or Jihadist notions, consider Israel as a ‘enemy nation’ of Bangladesh. It is learnt that, sensing extremely cordial assistance and cooperation between Jerusalem and Dhaka, some anti-Bangladesh quarters are continuing to create blockade in any form of relations between Bangladesh and Israel. I am facing sedition, treason and blasphemy charges since November 2003 for advocating inter-faith harmony, for criticizing rise of militancy inside Madrassas and for demanding relations between Bangladesh and Israel. According to Bangladeshi law, sedition bears capital punishment. Previous government with Islamist alliance brought these false charges against me just to dampen any voice against Jihad and militant Islam. For years, I have to appear in the court to face trial. Last date of trial was 12th November 2009, where the court postponed it till January 2010. This was my 73rd appearance in the court. While framing the charge against me, a judge in Dhaka with heavy Islamist link said, “The State Prosecution has brought allegation against you stating that, Salah Uddin Shoaib Choudhury, being the editor and owner of Blitz newspaper, you sent an article titled ‘Hello Tel Aviv’ to USA Today newspaper published from Washington. Now, here the trial court held me liable of sending an article to USA Today titled ‘Hello Tel Aviv’. But, in reality, there is no existence of any such article, as I never contributed any article to USA Today. My question here is, as to how the judge could frame the charge without seeing the necessary evidences? The judge further said that I committed crime by stating the existence of Islamist militancy group in Bangladesh. The entire world knows that, Bangladesh is continuing to nab militants inside madrassas since the 2005 bombing which rocked the entire country. The judge found the speech draft that I prepared as offensive. Why? Because, in that speech I have criticized Al Qaida, Osama Bin Laden, Saddam Hussain and Arafat. Where is the crime? Does Bangladesh consider criticizing Al Qaida as a crime? Presently Bangladesh has a secularist party in power, which got massive mandate from the people of this country in December 2008. Wish the people in the government could stop appeasing Islamists and terror-patron nations by immediately removing travel ban on Israel as well by stopping the harassments and intimidations I am facing since 2003.